UBC English professor Ira Nadel has been most widely known in British Columbia as a long-serving book critic for CBC Radio's Afternoon Show. Born on July 22, 1943 in Rahway, New Jersey, he came to teach at UBC's English Department in 1970 where he has remained for more than three decades. He has written books on James Joyce and Ezra Pound and co-edited The Victorian Muse, Gertrude Stein, The Making of Literature and a collection of previously unpublished Ezra Pound letters. He has also edited the Cambridge Companion to Ezra Pound (Cambridge University Press, 1998), prepared a biographical appreciation entitled Various Positions: A Life of Leonard Cohen (Random House 1996) and organized conferences about the work of James Joyce. He has edited an Oxford reprint of the American classic, The Education of Henry Adams (1918) and Iolani: Or, Tahiti As It Was [by Wilkie Collins] (Princeton University Press, 1999). 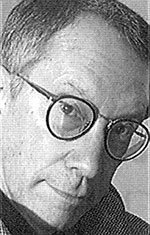 Ira Nadel is also the author of Tom Stoppard: A Life (St. Martin's Press, 2002). He received the UBC Medal for Canadian Biography in 1996. In 2016, he co-authored Placemakers: emperors, kings, entrepreneurs: a brief history of real estate development (figure 1, 2016) with Herb Auerbach. [BCBW 2017] "Biography" "Literary Criticism"